"Ray! Can you get some of the gang together and do a show at the Bethany Hills Ski Resort this weekend? I’ve called you guys 'The Citiots’!'" That phone call from the legendary Paul O’Sullivan in February 2009 changed the lives of myself, Dan Smith, Luke Foster, and everyone who followed. Up until that point, Paul and I had been the producers of the successful “Impros vs Joes” series at the Gordon Best, which began in 2008. "Improvs vs Joes" was an evening of improv that included some of Paul’s famous friends (Jack Mosshammer, Patrick McKenna, Lisa Merchant, Colin Mochrie, and, of course, his wife, Linda Kash, to a name a few) as well as local “Joes”, including students from his classes as well as Dan Smith and Luke Foster. The latter had already achieved some success with their former troupe, “The Shrimps”, years earlier. Back to the phone call from Paul O'Sullivan…I immediately called Dan Smith and asked if he would do the show with me, and who else he thought we should ask. Fast forward to that night in February 2009 in Bethany Hills, as five very nervous improvisers sat around a dinner table at the resort, pouring over the games list, hoping we remembered how to play each game. Hoping our mouths wouldn’t fail us and allow for noise to exit in some cohesive and entertaining fashion. That first ever Citiot crew consisted of myself, Dan and Luke, as well as Phil Oakley and Emily Doyle—a performer that had been a part of my shows with Arbor Theatre since she was 8 years old in 1999. The ski resort must have liked us, because “The Citiots” were hired for 2 more shows that spring (Megan Murphy made her debut at the second show). We did well in Bethany, but Dan and I didn’t think that a Peterborough audience would be ready for a Citiots show. Afterall, they knew us. Why would they pay to see us? And Peterborough already had the Impros vs Joes Show. Flash forward to November, 2010. The week of an Impros show, Paul called me to let me know that he and Linda were double booked and couldn’t make the Friday gig. I called Dan. We already had the sponsorship in place. The room was booked. Should we make it a Citiots show? As people climbed the stairs of the Gordon Best that November 2010 night, they were greeted at the door by a familiar face, me, who explained to them that it was no longer an Impros show, but a “Citiots” show. Same people…ish would perform, I told them, minus the “celebrity” element, and that it was up to them if they wanted to stay. They did. The night was a success, with Luke, Dan, Phil and now Paul Nabuurs and I, along with Danny Bronson on the keys. May 2011. The same situation arises with Impros. Cancellations. But we improvise again with the same plan. We make it a Citiots show. Ray, Luke, Dan, Paul, Danny and Megan—and now with 17-year-old Kate Ethier as a guest. Result: Same happy audience. June 2011. Why not actually PROMOTE an actual Citiots Show? Why not see if people want to come and see us? Ray, Dan, Kate, Danny, and now Kenn Gibb and Pat Maitland joined the fray. And people came. And people laughed. It was beautiful. Over the years now, we have performed (almost) every month at our homebase, the Gordon Best, as well as many other venues, private parties, fundraisers and corporate events. We have secured sponsorships from industry juggernauts, Steam Whistle Brewery and PTBOCanada.com. We have an official photographer, Jess Latone of J.Lee Photography. We received the Wire Award for “Best Performance Artist”, as voted by fans. We have shared the stage with some of the Improv industry’s best, including Patrick McKenna, Linda Kash, Peter Wildman, and Mantown Improv (Canadian Comedy Award Winners for best Improv Troupe). We have brought local icons up on stage with us, including Paul Rellinger, Catherine Hanrahan, Caley Bedore, The Jobless boys, and Mike Judson. Our current lineup of Ray, Dan, Luke, Kenn, Paul, Kate, Mike, Danny and Andrew Root have been a unit since January 2014. We know that we owe it all to this amazing and incredibly supportive community who continually come out and share laughter and love with them. Oh, and Paul O'Sullivan, thanks for your phone call. You changed our lives forever. The Citiots next show is Friday, April 21st at 8 pm at Gordon Best Theatre. Learn more about them on their website. UPDATE: November 3rd -> Megan Murphy informs us that Dead Air is now in the Top 55 nationally for this CBC competition! Voting for the Top 15 begins this Thursday and runs through Sunday. So make sure you vote for this great local talent right here!! Learn more about the show on their Facebook page. Three Peterborough radio personalities—Megan Murphy, Linda Kash and Jay Sharp—are pitching CBC's national ComedyCoup Competition, which gives fans the power to help their fave comedy show concept turn into a half-hour special for CBC prime time. The trio's show is called Dead Air, and they describe it as WKRP in Cincinnati meets The Office. It's about a small town radio station full of big city egos. The star character is "Mike Street", a middle aged morning show host at “The Lizard 90.3”. Mike had big dreams of making it to a major radio market but grew to enjoy the attention of being “The Morning Mayor” in his hometown. Dead Air follows the perks and pitfalls of being a small town celebrity, and all the social discomforts it brings. Watch their pitch video here for their sitcom pilot, and follow them and rate them on the social media widgets at their CBC page, share their page with others, and sign up to be a CBC ComedyCoup fan. They need all the shares they can get to help advance to the next stage of voting! You can follow Dead Air on Twitter here or "Like" them on Facebook. We're pleased to announce we're sponsoring the awesome local improv comedy troupe Citiots, who perform regularly at the Gordon Best Theatre on Hunter Street in downtown Peterborough—and make guest appearances elsewhere. Current members of Citiots include Danny Bronson, Kate Ethier, Luke Foster, Kenn Gibb, Ray Henderson, Paul Nabuurs, Andrew Root and Dan Smith. Learn more about them on their website. Their next performances are May 17th at Viamede for dinner and a show, and then May 23rd at Gordon Best Theatre, a 9 pm start. Here's great pictures below courtesy J. Lee Photography of the Citiots performance recently at the Gordon Best with some members of Toronto's Mantown, including Adam Cawley, Jason DeRosse and Rob Norman. Showplace Performance Centre is holding a Fundraiser for Ray Henderson, a leader in the arts community for many years in Peterborough. For the past few months, Ray has been dealing with the debilitating effects of Post Concussion Syndrome after a series of concussions over the years. Ray has been off work and could be for some time after his latest concussion playing hockey, a sport he loves. He has had to cease all activity, minimize stress, and get lots of rest. The benefit concert is raising money for Ray, and his wife and child. For the past 20 years, Ray has been writing, producing, directing and performing in over 150 projects and productions. As Artistic Director of Arbor Theatre, he has worked with the community's youth for years, most notably presenting his December Productions, involving children as young as 3 as well as many veterans of the stage. The Showplace benefit concert takes place Sunday, February 2nd at 2 p.m. The stage will be filled with talented friends and supporters, in a comedy and music filled event. The amazing lineup of performers include: Kate Ethier, Luke Foster, Kenn Gibb, Paul Nabuurs, Andrew Root, Dan Smith, Danny Bronson, Linda Kash, Bruce Hunter, Derek McGrath, Patrick McKenna, Peter Wildman, Geoff Bemrose, Rachel Bemrose, Chelsey Bennet, Jessica Burrett, Beau Dixon, Kait Dueck, Dan Fewings, The Foleys, Jordan Mack, Megan Murphy, Rob Phillips, Sean Quinlan, Wes Ryan, Jessica Lee, Kate Suhr and Lindsay Unterlander. The Emcees are Tim Etherington and Catherine Hanrahan, and there will be door prizes and a silent auction with many fantastic items up for grabs as well. Also, if you'd like to make a cash donation to the Henderson family, email here for deets. Unless you’ve been living under a rock, then you know the news: Jerry Seinfeld is in Peterborough performing this Saturday at the Memorial Centre. That is great news for our city in that one of TV's most successful people ever is bringing his comedy tour our way. In honour of Mr. Seinfeld coming to town, we give you a list of places he and his friends should visit! 1. Soupçon (The Soup Nazi). This is an easy one! There is plenty of Soup For You! 2. 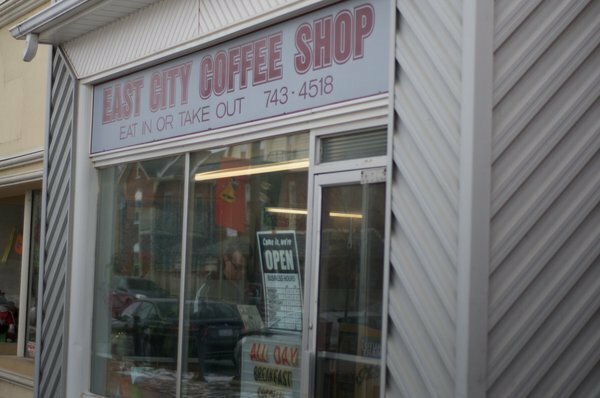 East City Coffee Shop (pretty much every episode). It might not be on the corner, but this is a great spot to meet up with friends and talk about your day. 3. Showplace (The Friar’s Club) Jerry and his friends can sit on the balcony to watch a magic show and not be afraid to have his Friar’s Club jacket taken again! 4. Roger’s Cove (The Marine Biologist). Kramer can hit a few golf balls into Little Lake without fear of forcing George to become a Marine Biologist again. 5. Peterborough Public Library (The Library). Our librarians are pretty nice with overdue book fees. 6. Jackson’s Park (The Andrea Doria). If Jerry wants to see Elaine get hit in the head by a bird in a park, this is his best bet. 7. Daisy Chinese Restaurant (The Chinese Restaurant). They probably won’t have to wait as long for a seat. 8. Chex Studios (The Shoes). 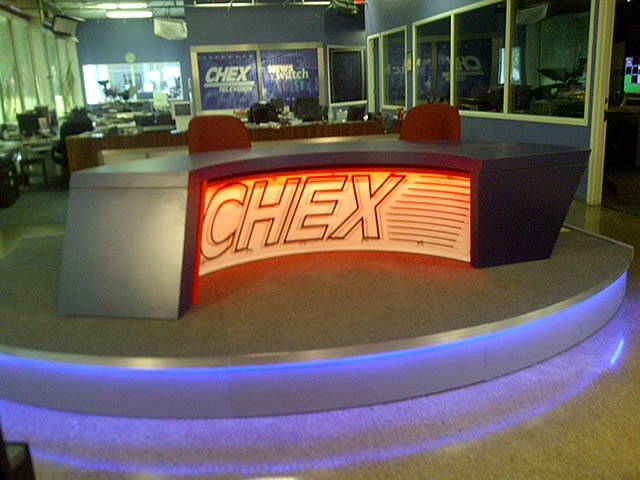 Jerry and George could approach Chex like they did NBC to produce a pilot for a new sitcom. 9. YMCA (The Boyfriend). Just like meeting Keith Hernandez at a Y in New York, Jerry can meet a lot of local athletes training here.